This team of MSU Bobcats is excited to welcome our first MT Tech Digger! 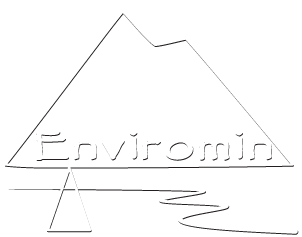 – Enviromin, Inc.
We are pleased to welcome the newest addition to our Enviromin team, Terry Biere. Ms. Biere is an Environmental Engineer with an MS from Montana Tech, where she studied water treatment options for mine closure at Barrick’s Golden Sunlight Mine. Terry is the first Montana Tech Digger to join Enviromin!! Ms. Biere completed both field pilot studies and geochemical modeling work during her master’s research evaluating agronomic application of mine-affected water. She was also a student intern with Barrick, gaining experience as a field engineer at multiple mine sites. She is MSHA and OSHA certified, with recent experience as a project manager for a manufacturing firm specializing in industrial boilers. Terry will be here on February 1, 2018!